Netflix’s new original movie, “The Guernsey Literary and Potato Peel Pie Society,” has earned positive reviews from film critics and social media users since its premiere on Friday. 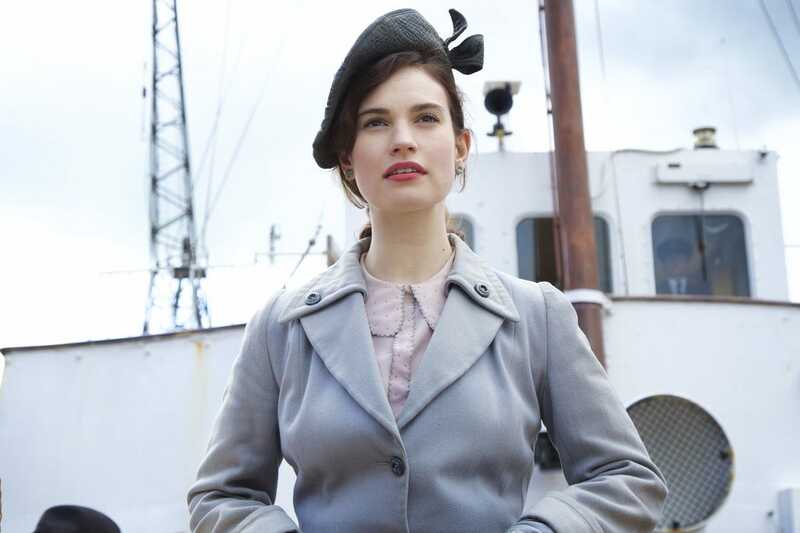 The film, a romantic drama/comedy set mainly on the island of Guernsey in the English Channel, in 1946, is adapted from a 2008 historical novel of the same name by Mary Anne Shaffer, and it stars Lily James. Netflix’s original movie, “The Guernsey Literary and Potato Peel Pie Society,” premiered on the service Friday and has earned positive reviews from film critics and social media users. The film, a romantic drama/comedy set mainly on the island of Guernsey in the English Channel, in 1946, is adapted from a 2008 historical novel of the same name by Mary Anne Shaffer. It stars Lily James, Michiel Huisman, and Glen Powell. Currently at a 79% “fresh” rating on Rotten Tomatoes,”The Guernsey Literary and Potato Peel Pie Society” has earned a few laudatory reviews from film critics. “An old-school, old-fashioned entertainment, a romantic drama bursting with scenic vistas and earnest charm that contains just enough mystery to keep us involved,” Kenneth Turan wrote in a review for The Los Angeles Times. “Buoyed by a reliably appealing star turn from James, this handsome tearjerker mostly sidesteps the tweeness of its title to become, somehow, both an old-fashioned romance and a detective story trumpeting gender equality,” Harry Windsor wrote for The Hollywood Reporter. I’m watching The guernsey literary and potato peel pie society on @netflix. Every ten minutes they talk about how Nazis are bad and books are great, so I’m crying every ten minutes. Watching the Guernsey Literary and Potato Peel Pie Society and so far Lily James has been awkward in front of people, gotten distracted by a fleeing balloon, and written excitedly at 11:30 at night. She's pretty much nailed being a writer.